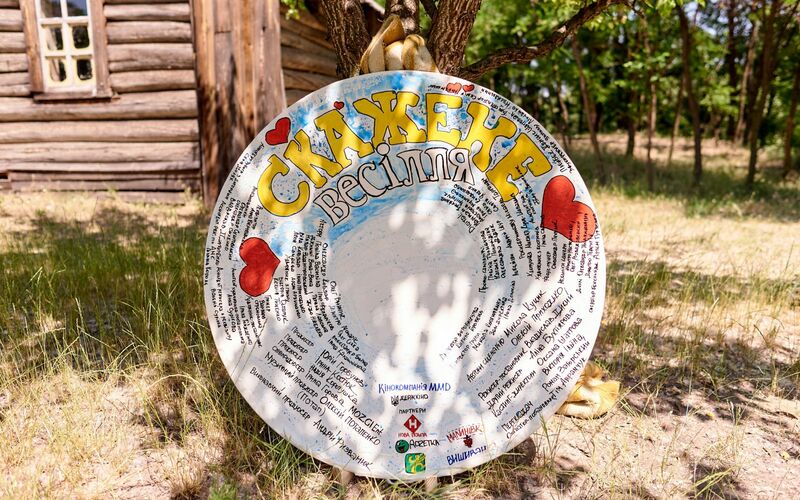 On May 31, at an open-air set of FILM.UA studio, the ceremony of smashing an enormous plate took place, dedicated to the start of filming for Crazy Wedding comedy feature (Prototyp Production with the support of Ukrainian State Film Agency). Besides, the X day was announced: the movie will go into wide theatrical release starting from October 4, 2018. The distributor of the film will be MMD, an independent Ukrainian film distributor. You can download photos from the event if you follow this link. On the first filming day, producer Yuriy Gorbunov told about the big plans of Crazy Wedding and finally presented the actors to play the marrying couple: Ukrainian actress Polina Vasylyna and French actor Jimmy Voha-Voha. The role of unbending father, Vasyl Seredyuk, will be played by Nazar Zadniprovsky. The project also has show business celebrities joining in, namely Potap and MONATIK who will play the roles of Yevlampiy the priest and Pylypon the deacon. Besides, the audience will see Yuriy Gorbunov and Oleg Vinnik onscreen. According to film director Vlad Dykyi, the major portion of filming will take place in Kyiv and the region; it is planned to finish this period in early July. A memorable part of the event was the smashing of a huge “crazy” plate, over one meter in diameter. On the plate, all project participants left their palm prints and wished the film success and audience appreciation. 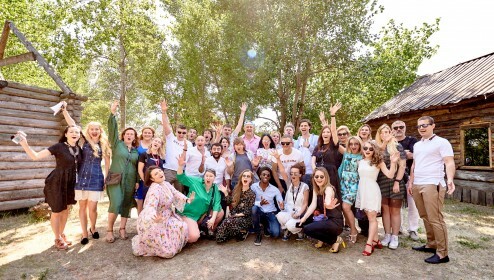 The team was also congratulated on the start of filming by the head of Ukrainian State Film Agency Pylyp Illenko, film co-producers Iryna Gorova and Oleksiy Potapenko (MOZGI Entertainment), and MMD CEO, Roman Martynenko. “It is a great pleasure for us to start cooperation with such professionals as FILM.UA and producers Yuriy Gorbunov, Iryna Kostyuk, Nadiya Korotushka, Oleksiy Potapenko, and Iryna Gorova. 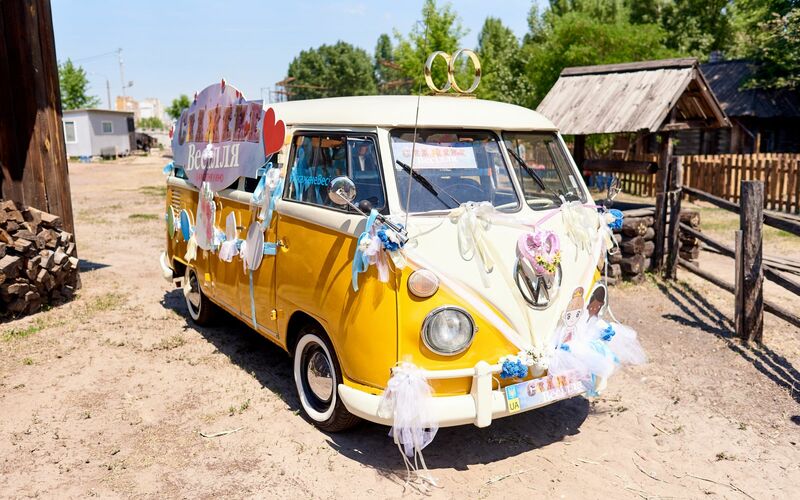 We are convinced that Crazy Wedding will become a successful Ukrainian franchise. We promise to put in all efforts and experience for the film to be able to compete with Hollywood blockbusters. My separate thanks go to Ukrainian State Film Agency for supporting Ukrainian commercial cinema,” said Roman Martynenko, CEO at MMD. “Such partnership is a starting point for the film’s successful release. We are convinced that jointly with MMD we will present our comedy in the best possible way, first to the cinemas and then to the viewers”, said Yuriy Gorbunov, film producer. The film is the first part of future comedy franchise about Vasyl Seredyuk and his family. The film will immerse the audience into preparation for the wedding and the festivity itself, an infinite source of humor and national specifics. “Cinema was born in a pub, as a curiosity for fairs, and we shouldn’t forget or, even more, deny this origin. Ukrainian theatrical releases for mass consumption are confidently evolving right before our eyes. And even though we still joke using quotes from Soviet films by Gayday and Ryazanov, very soon thanks to new Ukrainian genre films – comedies, first of all – we’ll be able to form truly Ukrainian cultural context”, said Pylyp Illenko, head of Ukrainian State Film Agency. 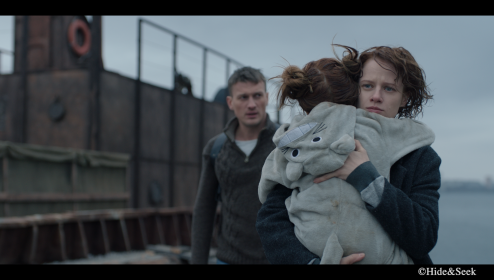 “We have been working with screenwriter Oleksiy Prykhodko for a long time, having developed scores of scripts and written hundreds of dialogs. That is why we weren’t scared of Crazy Wedding tight deadlines: in two weeks the first draft of the script was ready, and afterwards we only had to complement and improve it,” said film screenwriter Mykola Kutsyk, smiling. Exclusive hit soundtracks for the project are created by film music producer Oleksiy Potapenko (Potap). Besides, the producing center of Oleksiy and Iryna Gorova MOZGI Entertainment became the film’s co-producer. The first official soundtrack to the comedy, Promin (The Ray) was performed together by MOZGI, Michelle Andrade, and Vremya i steklo. The lyrics video to the composition has enjoyed more than 1.5 million views now. To enhance the film ambiance and mood, only hot Ukrainian hits and recognizable pop music will be used. “The music ambiance of the film will be modern, crazy and diverse, just like Ukrainian wedding itself. We approach writing soundtracks with as much love and understanding as we possibly can pour in. The whole film crew lives by this project, and its musical part is a great source of excitement as well,” says music producer Oleksiy Potapenko. Synopsis: Vasyl Seredyuk, director of district museum of local lore, never expected this twist when he was sending his daughter Katya to study in France: a month ago she informed him that she was getting married to a French heart surgeon François. "Seredyuk family has made a European choice!" - this is what each resident of the district heard from Vasyl in person. Imagine his astonishment when he saw that the coveted European son-in-law is a Frenchman of African origin. Organizing a wedding so that it never happens seems like a brilliant idea. But when true love stands in the way, the success of such plan is not a given. Produced by Prototype Production, FILM.UA Group with the support of Ukrainian State Film Agency. Crazy Wedding comedy became one of the winners of the 10th competitive selection in Ukrainian State Film Agency. The film’s total budget is 10.8 million UAH; out of those, 1.18 million was provided by the Agency. According to previous reports, Prototyp Production struck a deal with FILM. UA Group on providing a full package of services under special conditions for production, promotion, and distribution of Crazy Wedding in the framework of FILM.UA Group package proposal for projects supported by Ukrainian State Film Agency. 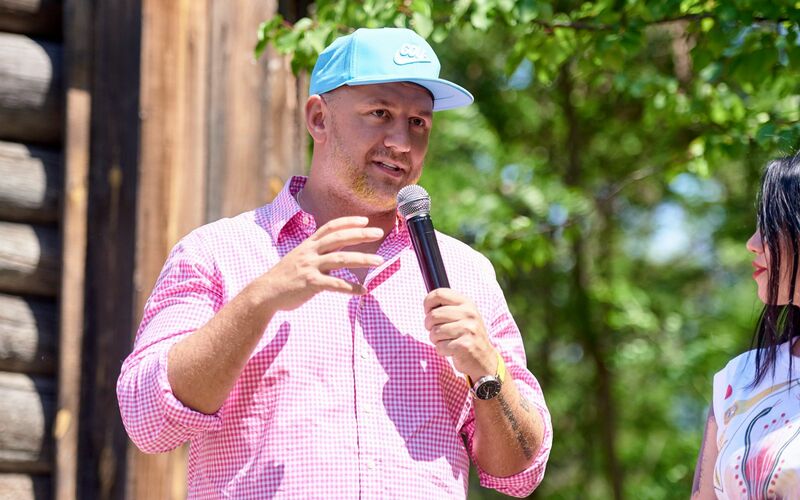 The comedy is created alongside an active and wide-scale promotion campaign including digital support, external advertising, informational support of partner media, BTL events, promo tours, work with the media and bloggers, etc. The marketing strategy is aimed at the mass audience.